Red Bull Racing has long had a contentious relationship with its current engine partner Renault. After winning four Drivers' and Constructors' Championships on the trot 2010-2013, Renault stumbled with the introduction of the hybrid V-6 power plants in 2014 and has struggled to catch-up ever since. Red Bull Racing's ever-outspoken chief Dr. Helmut Marko has further increased tensions between the energy drink company's Formula 1 team and engine supplier Renault, stating that he believes Honda will out-develop the French manufacturer over the season. "The Honda package is technically interesting. The engine is very light and now the reliability is there," Marko told Autosport, referring to how Red Bull's junior team Toro Rosso racked up the miles in winter testing with the Japanese V-6 in the back of its STR13. "The engine should be at Renault level at the end of the year," Marko said of the Honda, which has been the worst of the four engines the past three years. Back in 2015, the pair had a very public falling out. The team effectively broke its engine contract with Renault, only to have to come back to its spurned partner after Mercedes and Ferrari showed no interest in supplying them. The newly negotiated deal was far less beneficial for Red Bull Racing, which lost its title sponsor Infiniti (which is part of the Renault-Nissan alliance) and backing from French oil firm Total. The team currently rebadges its Renault engines as TAG Heuers and has snapped up Aston Martin title sponsorship for 2018. The Renault factory team hopes to challenge Red Bull in 2018.Getty Images. Red Bull chiefs Horner and Marko (left and right) with Renault's Abiteboul.Getty Images. 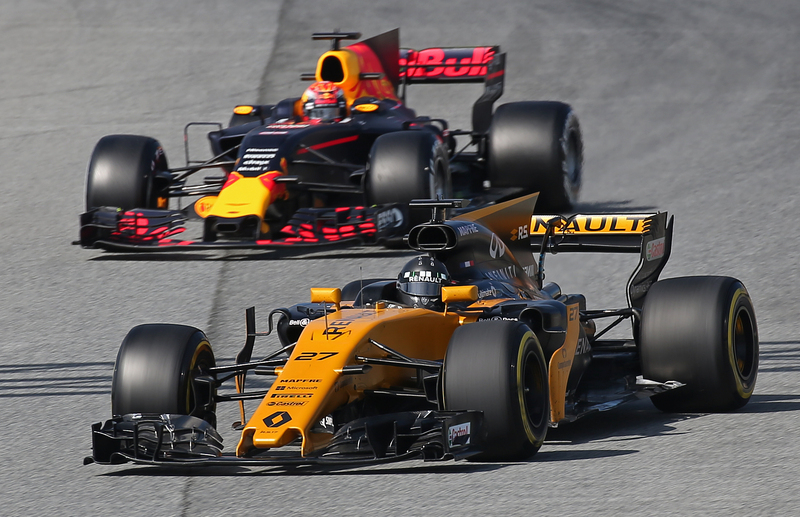 With Red Bull Racing's current agreement with Renault reportedly set to expire at the end of the 2018 season, both parties have been at it again. Citing a FIA rule that obligates manufacturers to supply a team with engines should they not have a deal lined up by the end of May, Renault publicly set a deadline and called Red Bull Racing out to make up its mind before that time. Red Bull team principal Christian Horner, in turn, stated that the team won't make a decision until the end of the summer. The latest public negotiations follow Horner telling Autosport he's concerned about Renault's engine development strategy for early 2018. 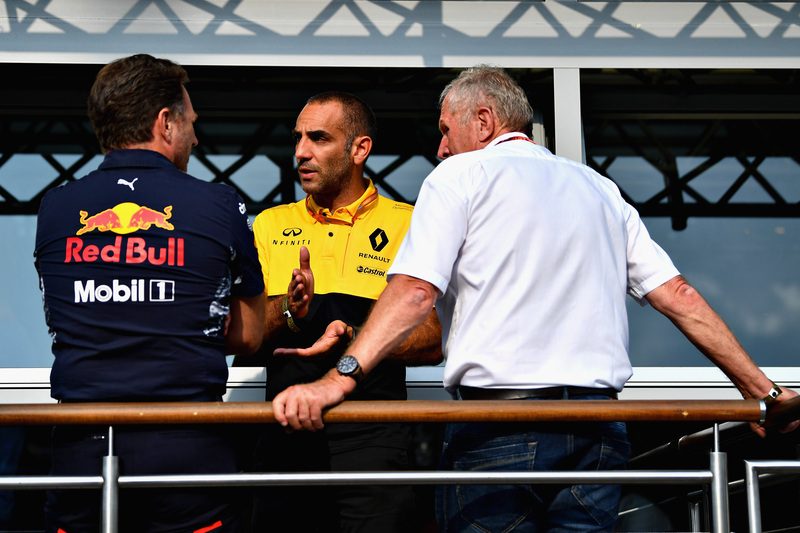 Prioritizing reliability over performance, Renault's managing director Cyril Abiteboul told the same publication there won't be a real step in performance until later in the season. Already looking further ahead, Red Bull Racing has made clear a switch to Honda is an option for 2019.